We have been on vacation for the last few days in sesame place. It has been so much fun and we are all really sad that tonight is our last night here. Tomorrow we are going to hit the park for a few hours and then head home. L is anxious to see her dogs and all of her toys in her room, she also wants to sleep in her own bed. She takes after my own heart a bit with that one, as much as I don’t want to leave I do love the comfort of my own house. I am going to do a post with the tips I have for this vacation so any of you taking little ones might have a one up :). I will get home and settled and then get to work, but for now I will leave you with a pic of L when we first got to the hotel. 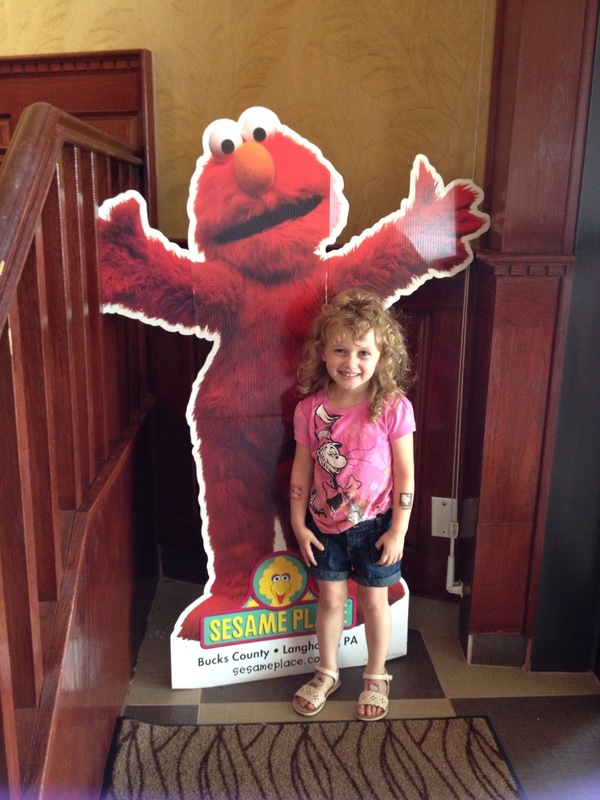 She was so excited that they and an Elmo cutout at she asked me to take a pic. My son used to love Sesame Place!